In her new book, "You’re Never Weird on the Internet (almost),” the actress and devoted gamer encourages women to remain undaunted in the online world. Felicia Day is well aware that not everyone knows who she is. University Temple United Methodist Church, 1415 N.E. 43rd St., Seattle (206-632-5163 or brownpapertickets.com). 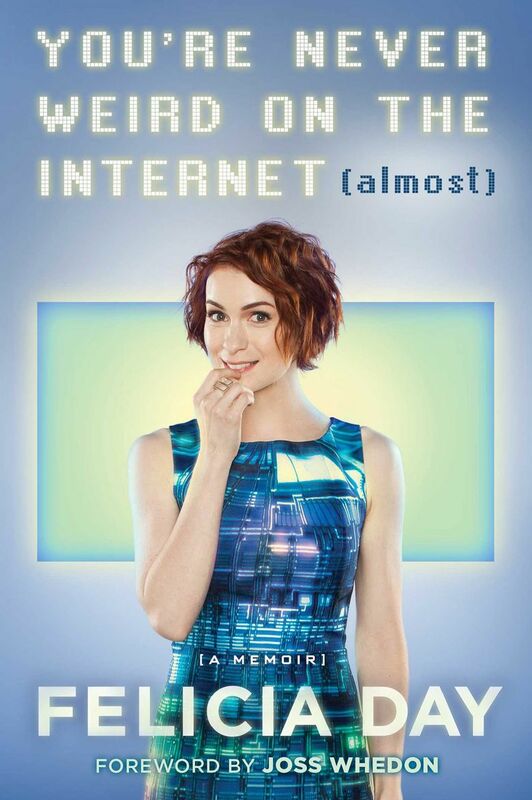 To remedy that, Day has written a memoir called “You’re Never Weird on the Internet (almost)” to explain how she has reached the status of pop culture’s “Queen of the Geeks” — a smart, quirky, home-schooled girl from Alabama who found a community online and turned it into a following that includes 2.5 million Twitter followers. Many of them will be at her reading on Wednesday, Aug. 26, when she will appear at University Temple United Methodist Church in an event sponsored by University Bookstore. Her voice in the book is a character she portrays — nerdy and offbeat, with lots of UPPERCASE WORDS and (parenthetical digressions). It reads not so much like it was written, but dictated. But on the phone from Boston recently, Day was all business, talking about how the online world has evolved — and how she and other women have paid a high price trying to find their place in it. So when game developer Zoe Quinn and vlogger Anita Sarkeesian were threatened and hacked in what’s become known as Gamergate, Day stayed silent. Day finally wrote a Tumblr post called “Crossing the Street,” about avoiding two male gamers out of fear. Day mourned losing a community she loved. Almost immediately after posting, Day was doxxed — personal information such as her address and phone number were posted online. That led to people sending her certified letters that said, “I know where you live” and phone calls from strange area codes in the middle of the night. She was even afraid to walk her dog. Some platforms have been better about enforcement, Day said, and leaders in the gaming world are finally speaking out. “As the landscape evolves, it will get better,” she said. So what is the rap against women in gaming? “For some reason, gamers feel very possessive,” she explained. “People who immerse themselves in worlds feel a strong sense of ownership. I even feel an extra investment in those worlds. It’s ironic, she said, because gaming is a culture where people who have long felt like outsiders feel included. Day attended the University of Texas in Austin, where she studied violin and math. Despite her accomplishments (she graduated with a 4.0), Day moved to Hollywood to pursue acting. She made a living doing commercials for products like Cheetos and Diet Coke. She wanted to write a screenplay, and followed the adage, “Write what you know.” That led to “The Guild,” a Web series she wrote, based on her experiences as a World of Warcraft player. Day promoted the show any way she could, and it gained a following, and was the seed of what would become Geek & Sundry, a digital network that claims 1.4 million subscribers to its YouTube channel. Day is encouraged to see more women who love playing and creating games, and in her book she is quick to urge them to forge ahead with their ideas. “I want people to read the book and take the small step of doing something they may not be brave enough to try,” she said. 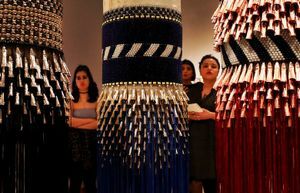 “Creativity is something that is inherent and it takes a lot of bravery to finish something and put it out there.